IT'S NEVER TOO LATE TO ORDER YOUR ORDER YOUR SALMON ONLINE HERE. SHIPPING IS ALWAYS FREE! OUR SMOKED SALMON HAS ALWAYS BEEN GREATLY APPRECIATED AS A GIFT. OUR SMOKED SALMON IS A PERFECT GIFT TO EMPLOYEES, CLIENTS, FRIENDS AND RELATIVES. Here's a guide to selecting the perfect species of salmon for the right occasion. JetSetSam Smoked Salmon Online. Free Delivery US, Worldwide Shipping British Columbia Smoked Salmon. Pacific Smoked Salmon Caught Fresh in British Columbia, Finest Quality. 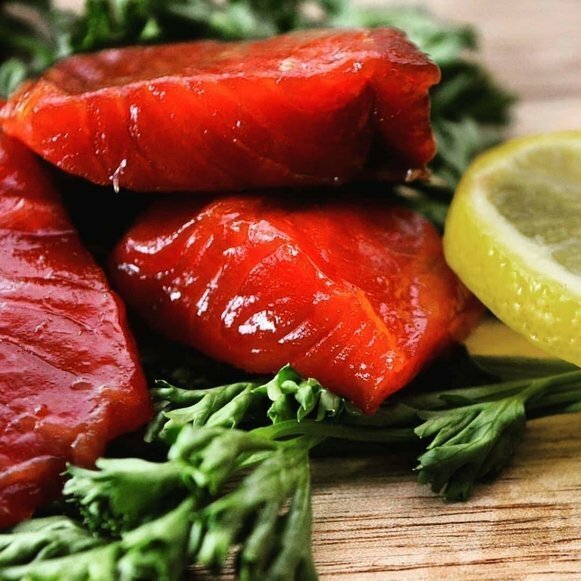 Full Range of Smoked Salmon including Wild Sockeye, Indian Candy, Salmon Jerky & More. Our Pacific Smoked Salmon is wild caught and fished fresh off the coast of British Columbia Canada. We guarantee our Salmon and Seafood products are of the finest quality in the world. Jet Set Sam's mission is to provide the highest quality seafood salmon products while giving our customers the best service experience possible. 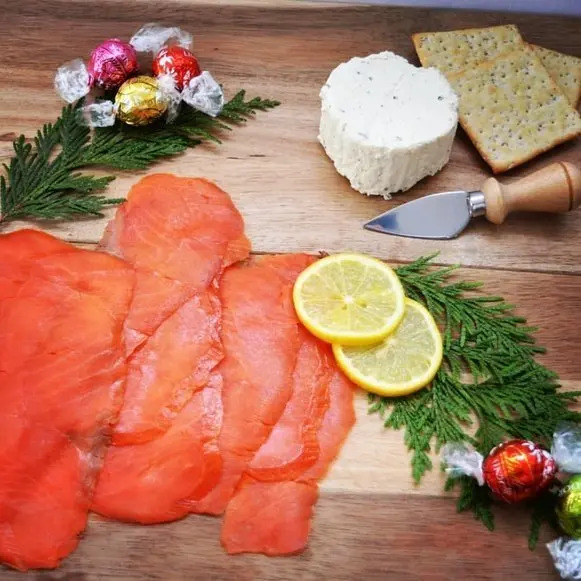 We have prided ourselves on providing the best wild caught smoked salmon from British Columbia Canada for over 25 years and will continue this tradition. Our products have made for exceptional Christmas Gift Baskets, Corporate Gifts, Gifts to loved ones or as the centerpiece for an amazing party. 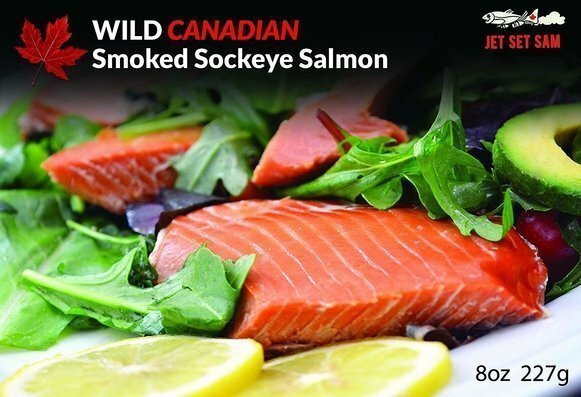 Jet Set Sam's best selling item is the wild Pacific sliced smoked salmon thats fished off the coast of Vancouver Canada and delivered to our customers in a manner that maintains the freshness and full smokey taste. Our smoked salmon makes the perfect food as it's protein packed and has just the right amount of Omega 3 fatty acids. We guarantee our salmon will be a hit and it will be the best tasting salmon lox you have ever had! Indian Candy one of the most sought after salmon products is always quick to please no matter who receives it. 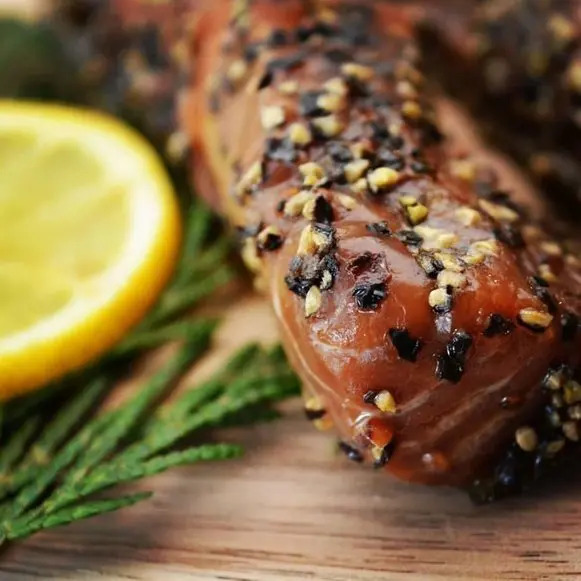 This hot smoked sockeye salmon is cured in rich Canadian maple syrup from Quebec and then rolled in delicious peppercorns to provide that rich sweet with heat flavor. If your a lover of salmon, Indian Candy is a must try. Salmon Nuggets are quickly becoming a popular best best seller, these make for the perfect snack. 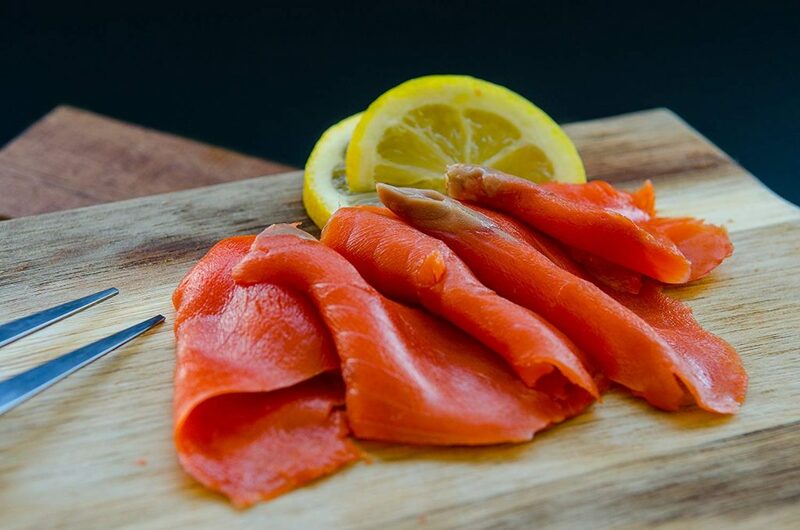 Hot smoked sockeye salmon is cured in grade A Quebec maple syrup and cut into cubes to ensure the maple curing is rich in flavor. Salmon nuggets are a huge hit as a party appetizer or just throwing over a salad. 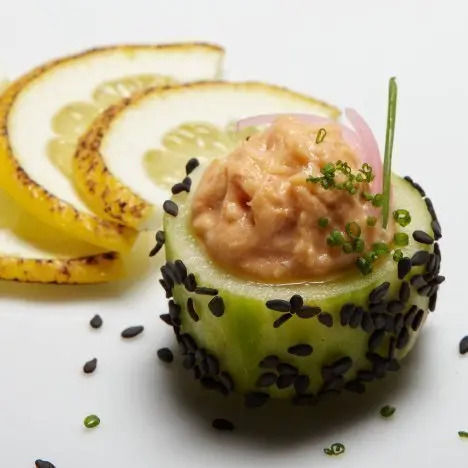 This salmon can be an accompaniment to just about anything, we know your going to love these bite size pieces of flavor. Smoked salmon cedar boxes or our stylish gift boxes make for the perfect gift for your out of town guest or to send abroad. Made from the same high quality fish, this salmon is shelf stable and packed in a beautiful gold foil retort pouch and packed with the perfect amount of oil to preserve the salmon's natural freshness and flavor. These are especially popular for their cost effective pricing and stunning native design art packaging. In addition our salmon jerky with our signature Canadian packaging comes in four distinct flavors: Original, Teriyaki, Maple and Hot. Salmon jerky is the perfect substitute for a healthier jerky and is just as tasty as it is healthy. All our products are crafted with the same high quality standards that have kept Jet Set Sam a go to name for Hollywood elites and Large Businesses. We look forward to serving you!